Welcome to Mary Pitts Live! Powerful, Passionate and Personable is her trademark! Being powerful starts with your perspective of who you are. What you actually see when looking in the mirror determines how you will view yourself, your life and the world. 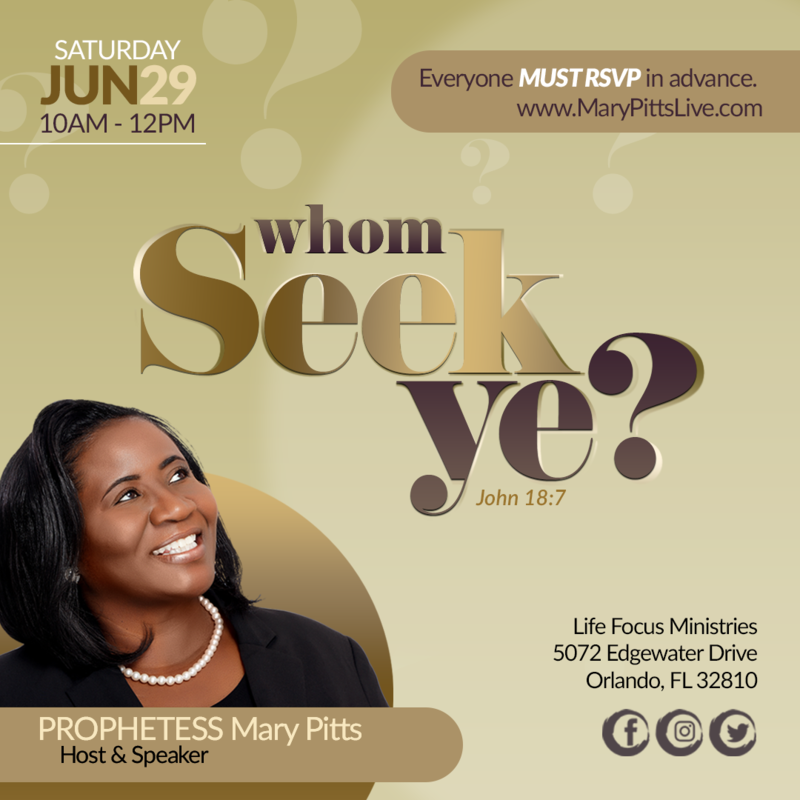 Mary Pitts Live shares her personal testimony of victory and shows her audience how to maintain a positive attitude even in the midst of adversity. Overcome, triumph, conquer, win, and succeed are a few words that best describes everyone's experience as a result of hearing this powerful woman of God! CLICK ON ABOVE FLYER FOR MORE INFO AND TO REGISTER. BOOK MARY PITTS LIVE FOR YOUR NEXT EVENT! Some of her most popular events are Women with an Assignment Leadership Conference, The Presence of a Father, Marriage and Ministry, Single and Living the Life. CLICK ON THE FLYER ABOVE FOR MORE INFO AND TO REGISTER. Crippled but Not for Life! ​Have you ever looked forward to something, and it didn't turn out the way you thought or planned? As a result, you made permanent decisions based on temporary situations and circumstances. The pain, misery and disappointment of the past began to shape and define who you are. This is precisely my story. This is such a great book for women's fellowship and girl's group discussions. Click below and purchase your copies today.